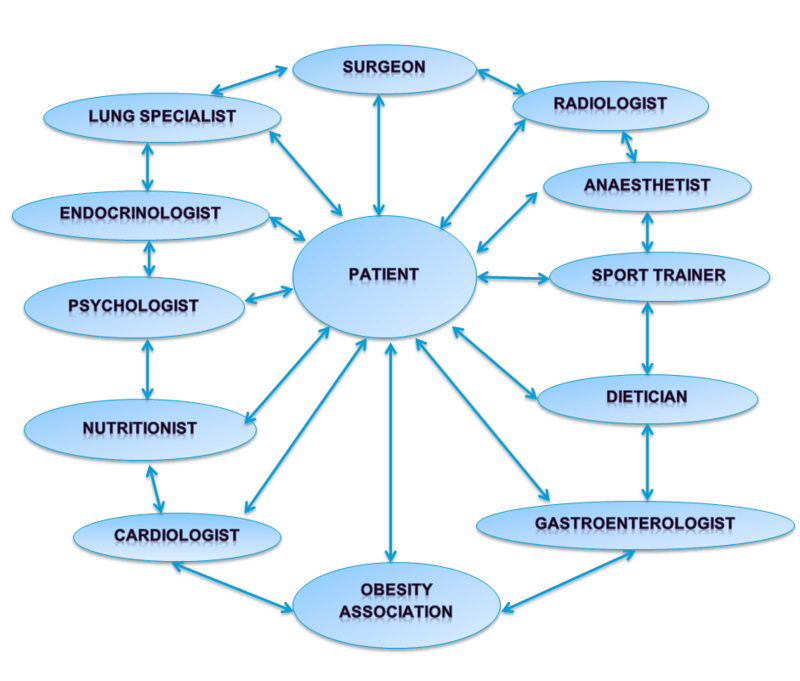 Obesity surgery requires multidisciplinary expertise both before and after prodecure. It is generally advisable for patients to consults a specialised centre having acquired considerable experience in this field in order to reduce the risks associated with any kind of surgery and to ensure regular follow-up. Any specialised obesity surgery centre should have at it’s disposal all the skills and equipment necessary for the treatment of obese patients. Information on eating, side effects and post-op follow-up are also given at this stage along with information on contraception and pregnancy for those patients of child bearing age.